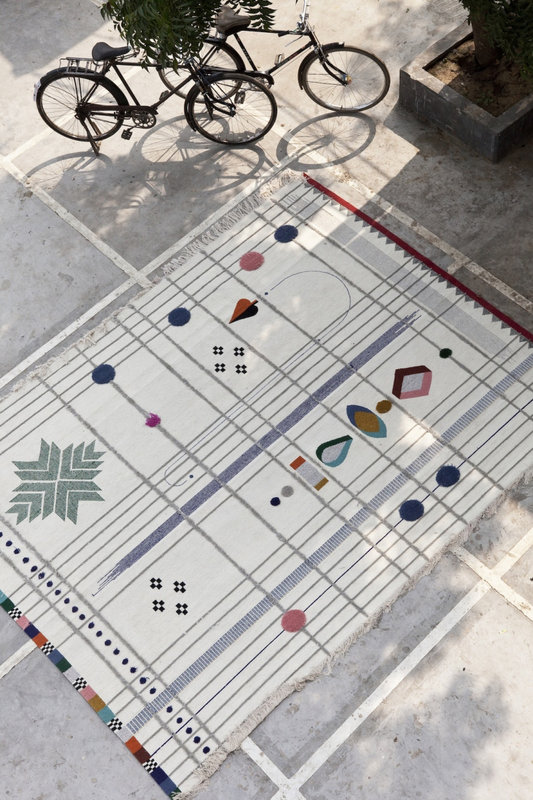 Inspiration for this collection derived from the Nomadic community of the Rabaris from Kutch region, North India (where they are manufactured). 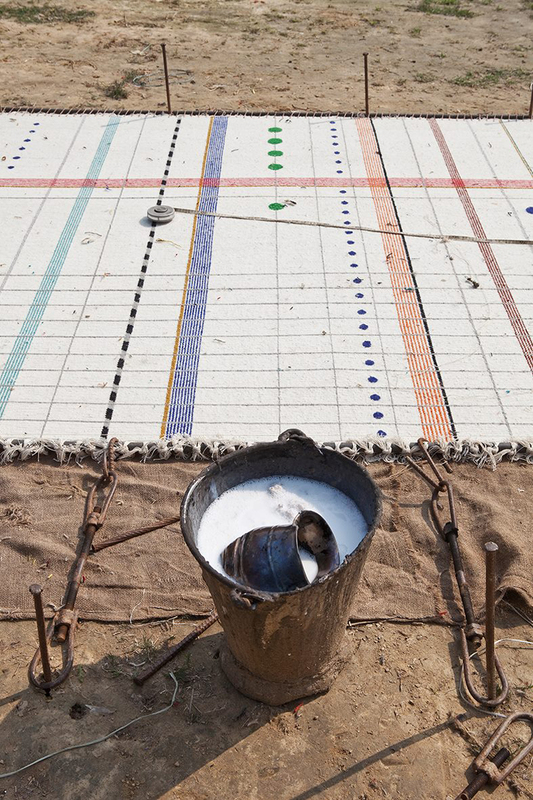 The Rabari have a rich tradition of embroidery and textile work. “The women sat together on rugs on the floor, surrounded by these jewel like elements, scattered around them as they worked. 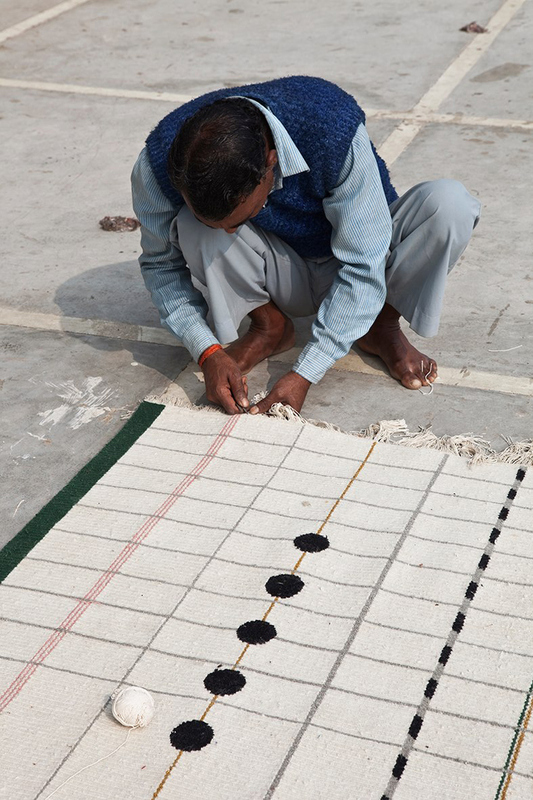 Often collaborating in groups, the intricate embroideries took several days to complete”, explains Doshi.